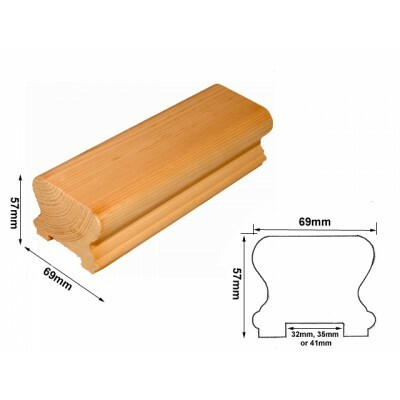 Pear Stairs Staircase Handrail 32mm, 35mm, 41mm slot or "No Slot" options available. Produced in our top-quality selection of stock timbers that are finely sanded to be finished in your choice of product. Please Note: This handrail cannot be used for continuous handrail. Please Also Note: When using wooden spindles, you will require infill strips, which can be purchased in this section. For use with metal spindles, please select "no slot" option, infill strips will not be required.